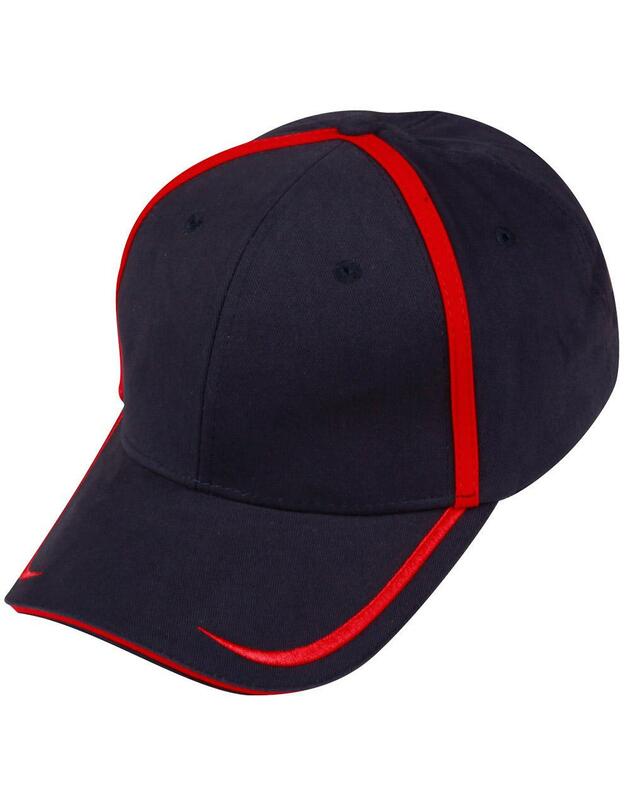 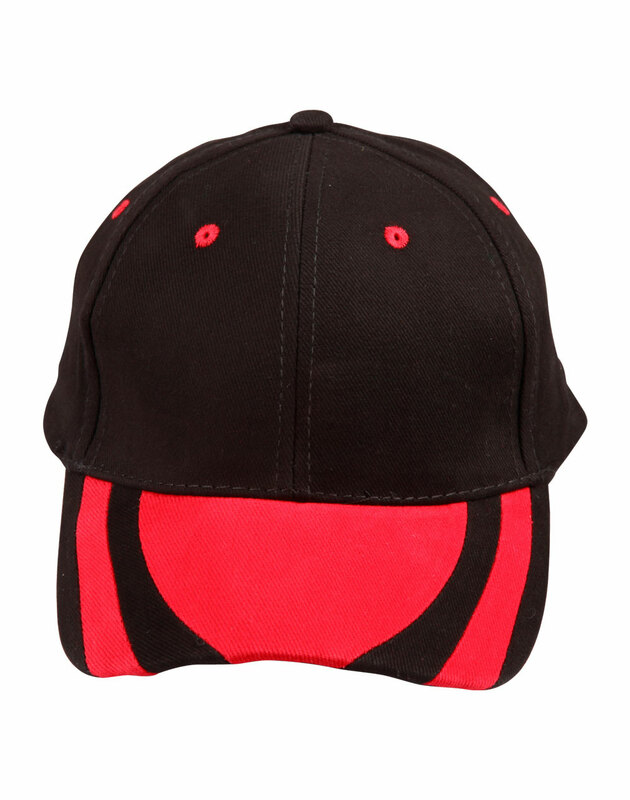 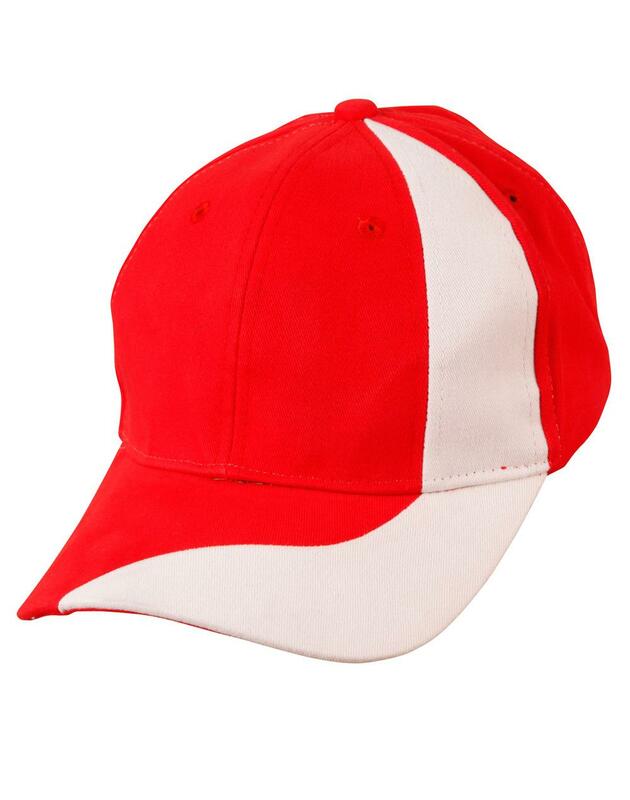 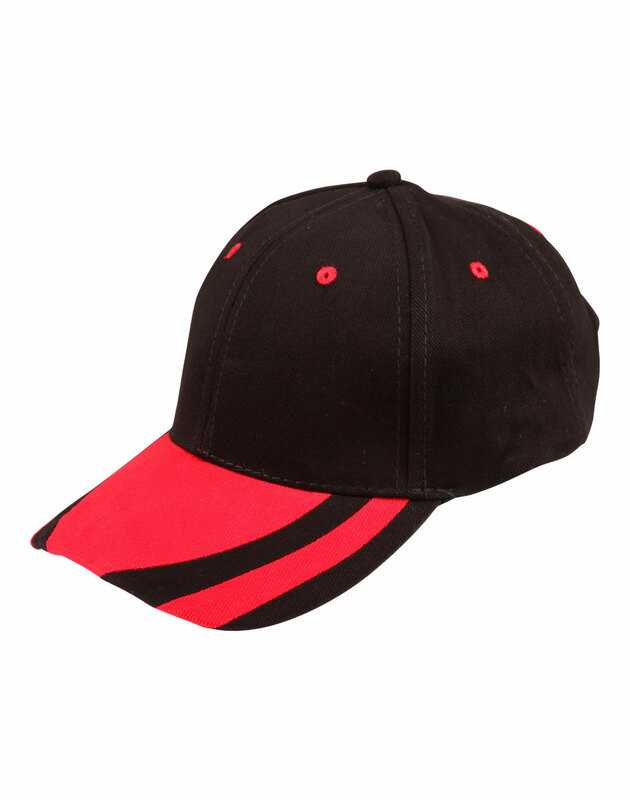 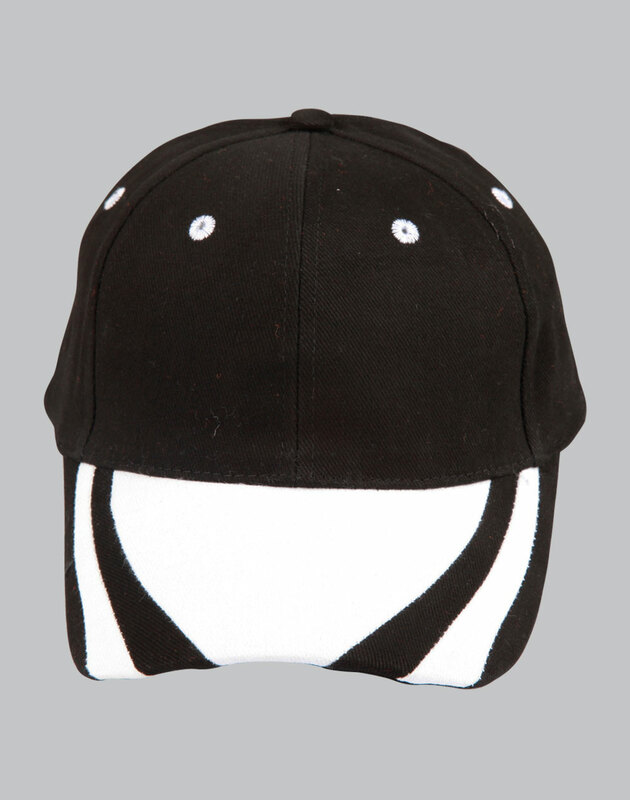 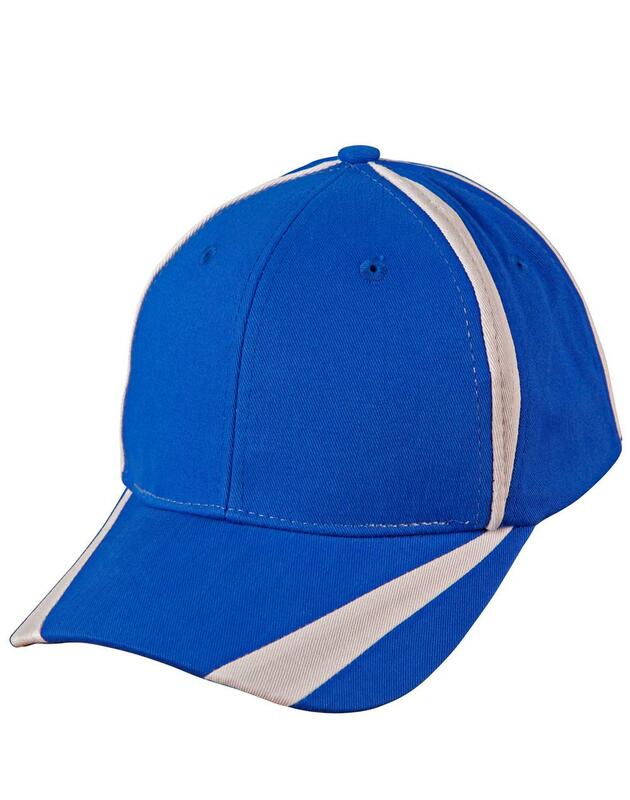 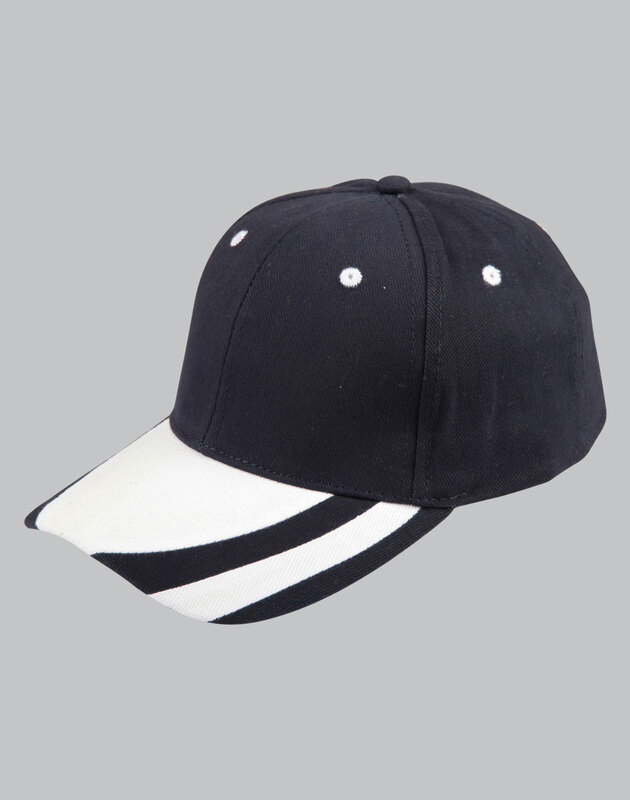 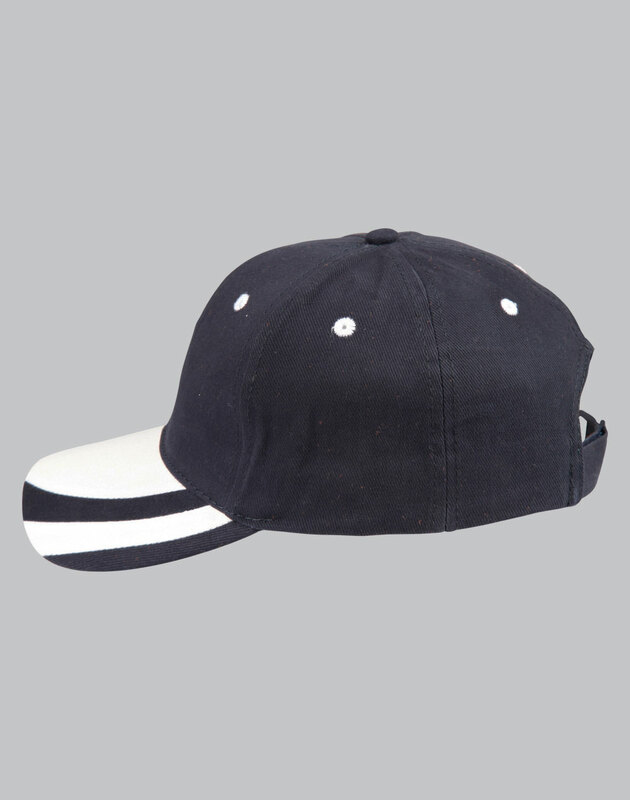 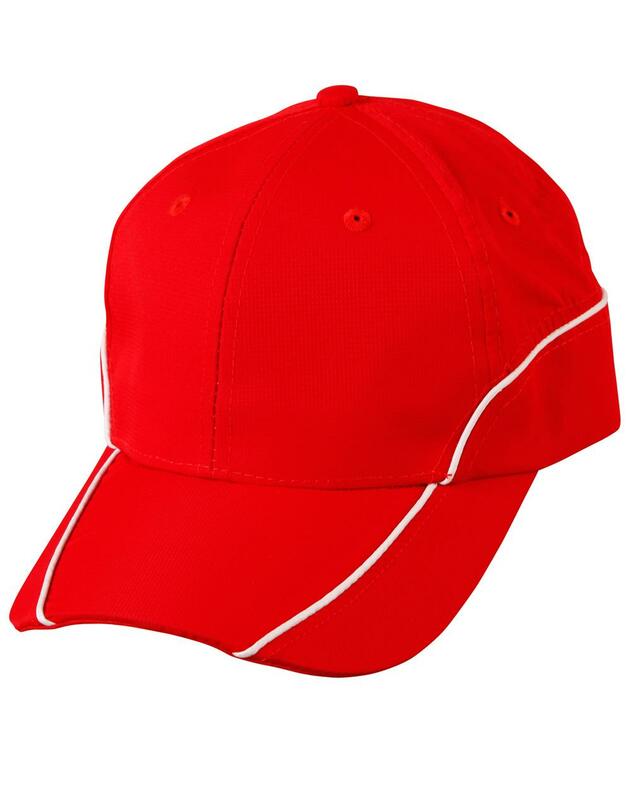 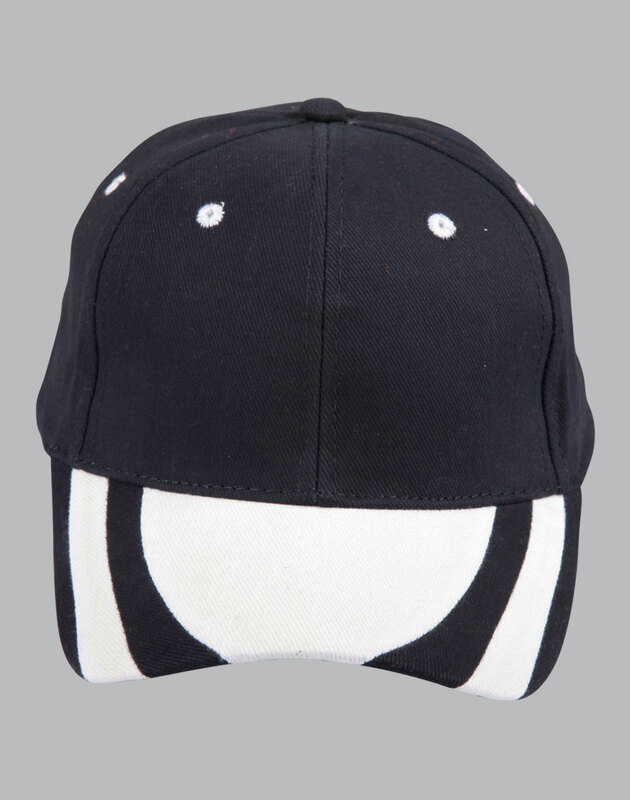 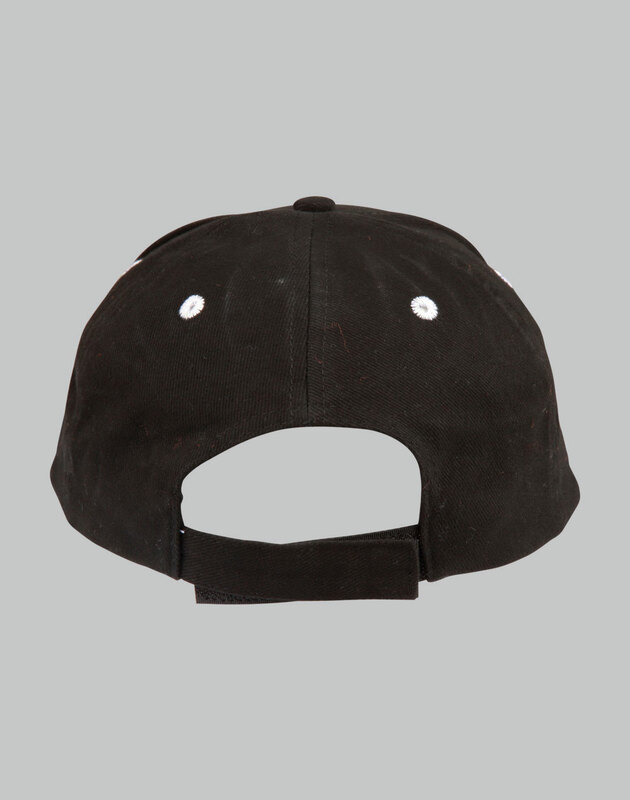 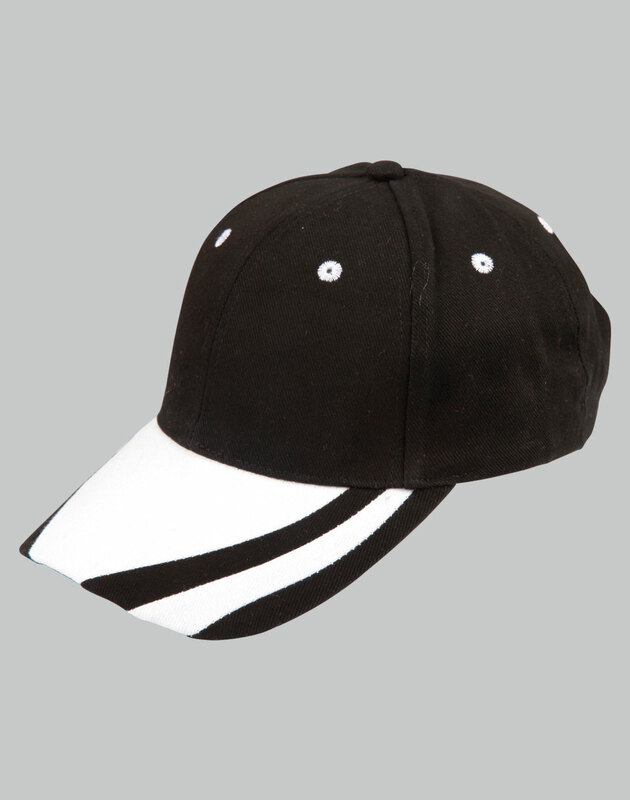 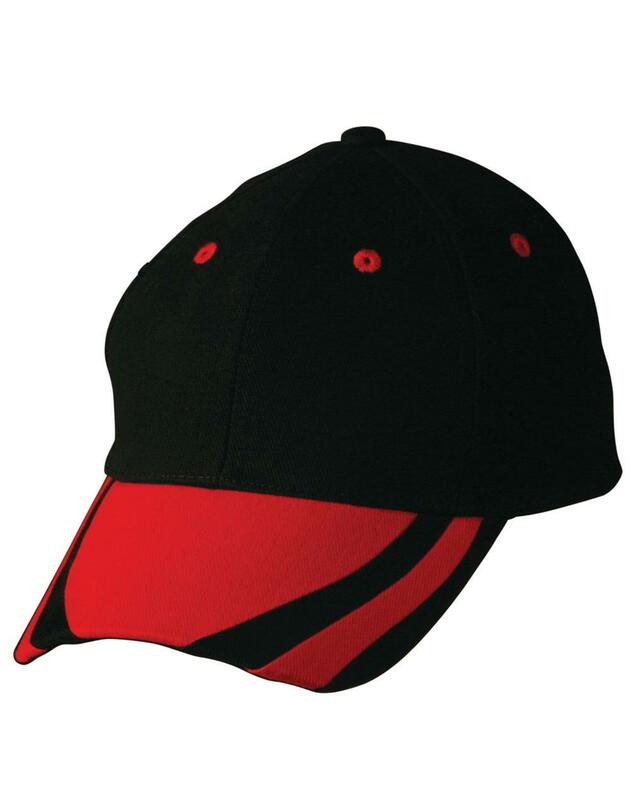 Description: 6 panel structured laid back front. 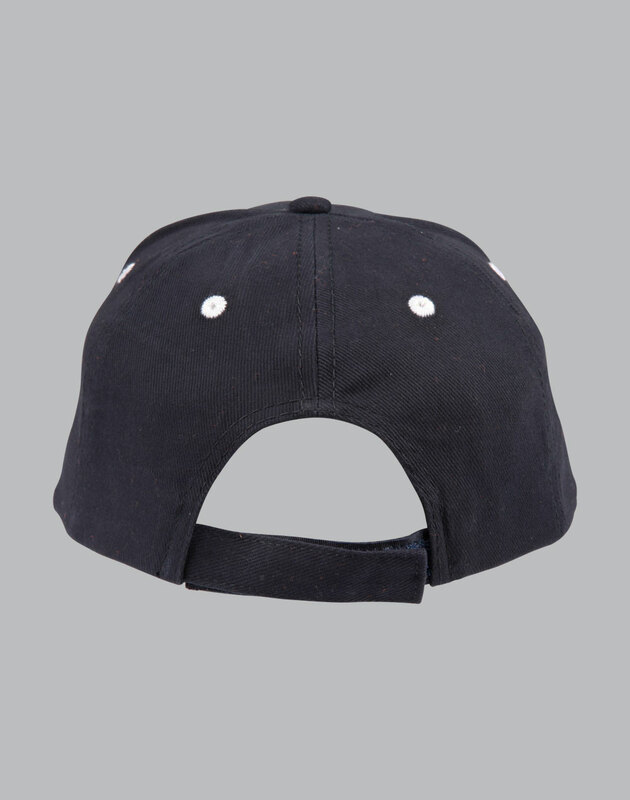 Heavy brushed cotton with Contrast trim on peak. 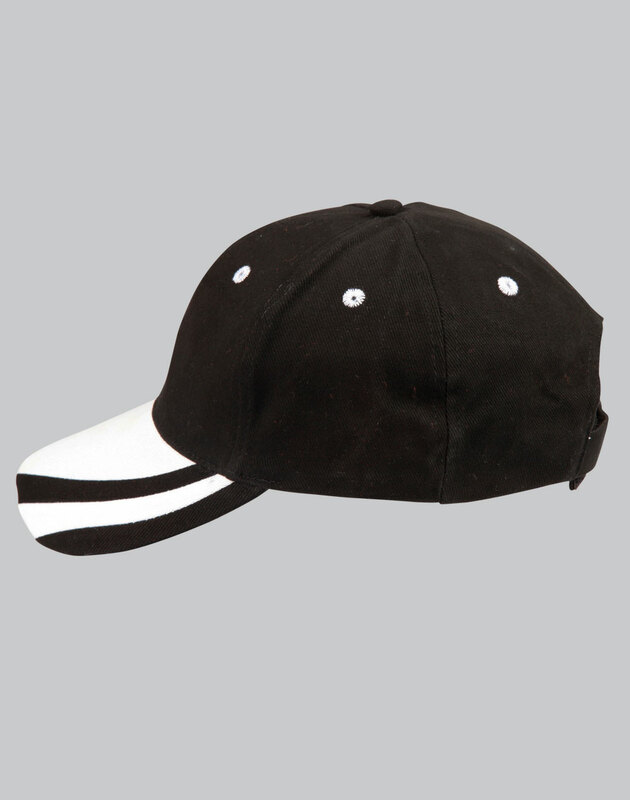 Short velcro crossover.